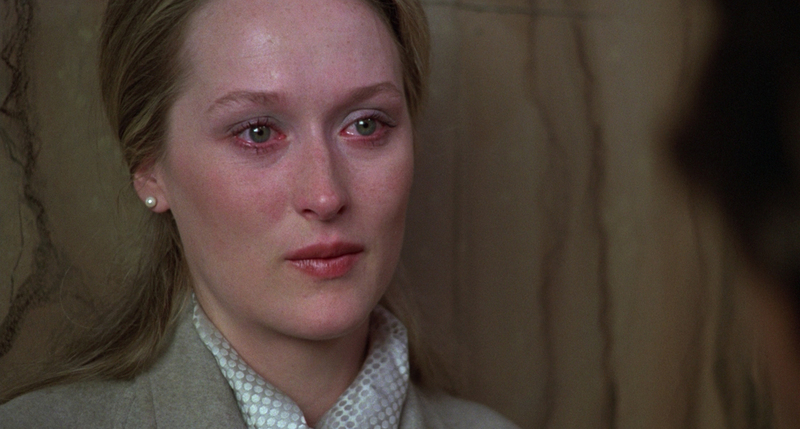 Kramer vs. Kramer was a movie I decided to watch on a whim and the fact that it won a few Oscars back in its day didn’t hurt. On the one hand, I was excited to see this movie because I heard there’s a courtroom scene and courtroom dramas are one of my favourites, on the other hand, if I’m being really honest, whenever I hear Dustin Hoffman in a movie it makes me think of Rain Man and, depending on the movie, kinda ruins it. I’m glad to say this movie wasn’t Marathon Man or The Graduate for me, and Dustin Hoffman was very un-Rain Man like. Not only was he not Rain Man, he was one third of an amazing main cast. The acting in this movie blew my mind. What blew my mind the most was the ability of the actors to express their emotions with just their body language. Those lingering shots of tears welling up in their eyes made them well up in mine. I’m pretty sure I cried during three scenes in this movie. The script and acting was so well done that I couldn’t help but feel the reality of the situation. I’m fortunate enough that my parents never divorced so maybe I’m off base a little, but this movie seemed like a very realistic portrayal of the effect that a parent abandoning a family can have on everyone involved. I loved the trainwreck of a breakfast Ted made when Joanna first left and seeing the progression and teamwork he and Billy had at the end of the movie when they made the same breakfast. The best part of that scene was that no words were needed. It was bittersweet because you see just how great of a father Ted has become but you know that it will come to an end soon. All the characters in the movie really grew from who they were in the beginning. Joanna became more aware of her needs as a woman and a person, but at the same time she realized that what she did really hurt her son and that she shouldn’t hurt him again. Ted had the most growth, going from a workaholic father who ignored his family to a loving father who would do anything to be there for his son. All of this was amazing, but it was really Billy who pulled it all together. The performance he gave as such a small child was incredible. It was him that really sold the story and it was him that made me cry the most. His reaction when his dad read him the letter from his mom, when his dad came into his room in the middle of the night after their big fight to make up, and when his dad was explaining that he had to leave to live with his mom were all done so masterfully. Whether or not people think this deserved to win any Oscars, it’s hard to deny the fact that it is a great movie. But it wasn’t all good because the scene when Billy falls in the park was cheesy to the point that it made me laugh. It was done so it could be used later in the court scene to show that Ted is a bad father for letting his son get hurt, but I feel like they could have found a better way for it to happen. This is definitely one of those scenes that would have been much different if they had cell phones. Instead of Ted running to the hospital with his son in his arms, he would have just called an ambulance. Another face palm inducing scene is when Phyllis runs to the bathroom completely naked and meets Billy in the hallway. She knows there’s a kid in the house, maybe best to play it safe and put some clothes on when you leave the bedroom next time. The negatives in this movie are just small cheesy potatos though; the positives make up a giant mutant potato that leaves me feeling very satisfied. I enjoyed this one a lot and definitely recommend this if you’re in the mood for a movie that has a great story, great character development and even greater acting. Verdict: 9/10 Don’t you eat that ice cream!